This is the final section of a petition delivered to Queen Victoria in 1884 by Tāwhiao, the Māori king, and a number of other rangatira. The petition called for a Māori parliament and a commission of inquiry into land confiscations. It was referred back to the New Zealand government, which dismissed it. 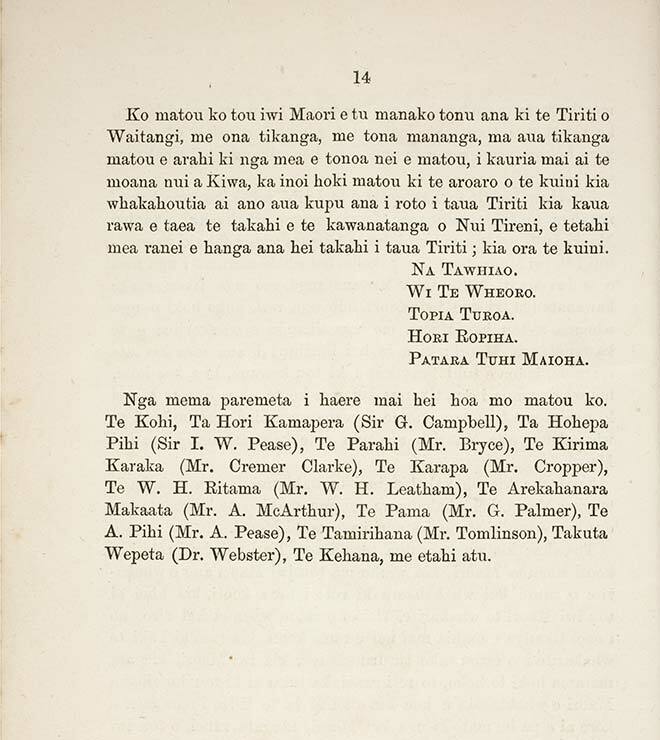 This petition was one of a number of 19th-century attempts by Māori to redress injustices under the Treaty of Waitangi. They were generally unsuccessful.